Mortgage Inspection Surveys are prepared for Title Insurance Companies and Mortgage Lenders. This service is designed to give the client a graphical representation of existing structures and how these structures sit on the property. These are not boundary surveys and should not be relied upon to make any type of improvement. This service gives the client a professional opinion as to matters of possible survey or encroachment problems that may exist before the loan is finalized. The surveyor relies on the information provided by the lender to make this determination. If there appears to be a problem then a Boundary Survey can be ordered and specific issues can be addressed. Professional Surveying Services continues to be a leader in cost effective, efficient, and real time solutions in the ever demanding Mortgage Inspection marketplace. We understand your need for quick and accurate service. We have been in this business since 1991 and have well over 40,000 surveys in our file system. Professional Surveying Services has the tools, manpower, and know how to get you a professional drawing for closing. Our reflectorless EDM's and Range Finders can quickly locate improvements even on large tracts of land with ease. Residential or commercial we can get the job done for you. 3-5 business day turn around time. Same day service in some instances. Error checking for deed closure. Professional CAD drawing to scale. 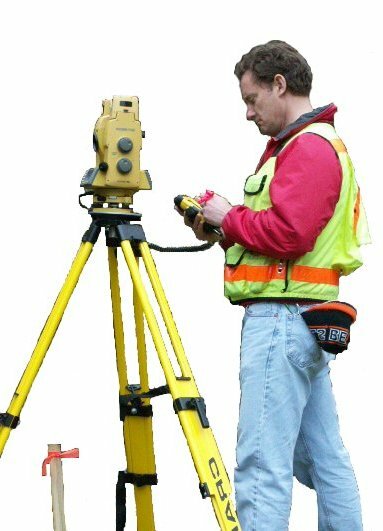 Discount for a Boundary Survey at the same time. Electronic file and invoice in PDF format. Friendly telephone or e-mail support. Transfer, copy, sale, or sharing of the surveyor's Mortgage Inspection to other lenders, buyers, or agents is a crimminal offense. The surveyor holds title to the original drawing. A copy is provided for the one specific closing. The effect of copying will deny the surveyor potential for future market service.